I’d like to introduce you to Rogue States. 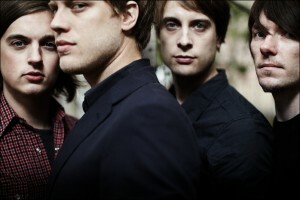 This indie Alt. rock outfit from Birmingham UK, have just released their debut EP “Lights” on March 8th, and we here at Espyrock got it streaming in it’s entirety. In addition to the EP stream, we have teamed up with Rogue States to give away three signed & numbered Limited Editions of their EP (only 1000 copies pressed). Find out all you need to know about Rogue States & how to win one of the signed EPs below! Some bands aspire to greatness; chasing big sounds and big ideas in an attempt to resonate. For others, it just happens to them. 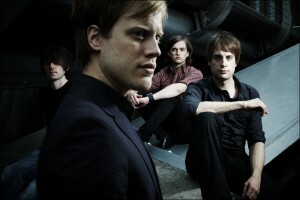 And so it is for Birmingham four piece Rogue States. The big ideas they wrestle with lyrically, like the widescreen, stadium guitars which back them, are there because the instant pop songs they set out to write got hijacked by questions and circumstance. The soaring melodies and driving anthems, like the obvious U2/Coldplay/Snow Patrol comparisons, are there because that’s just what happens when feeling and towering choruses meet. Steve Clarke (bass) and Stuart Baxter-Wilkinson (drums) first paired-up with Steve’s singer-songwriter brother Michael following the demise of their successful punk-pop band Dum Dums. In 2003, going by the name Clarkesville, Michael released the critically acclaimed album The Half Chapter, with Steve and Stuart joining his live band. After extensive touring, they started writing material for what would have been the second album only to find that writing together, as a band, was taking them in a whole new musical direction. It would be another four years before that new direction properly morphed into Rogue States with the addition of guitarist David Wright. In the meantime, to pay the bills, Steve and Stuart earned a living the hard way, putting in two and a half years on the road teching for Razorlight. Inevitably, years of near constant touring resulted in close friendships with Razorlight, particularly with then drummer Andy Burrows, who on nights off would come and see Rogue States play and in a bizarre role reversal, would help Stuart set-up his drums. 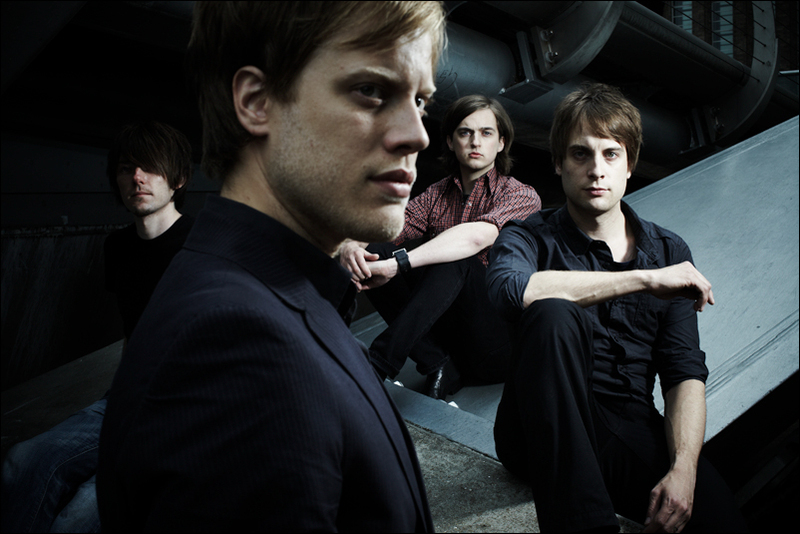 In March 2009 the band supported Razorlight on their UK tour and then Andy literally put his money where his mouth is and paid for the recording of the band’s debut EP. And it was money well spent. The EP is a quietly monumental collection of extremes: tenderly intimate and shudderingly epic, a calming respite and rousing call to arms, the lonely ache of doubt and the surging joy of a crowd pleasing anthem. From the lightness of Surrender’s questioning to the reinvigorating groundswell of Lights; from Faultline’s powerful whisper to Kings Of The Ghost Town Mile’s rallying cry, the EP’s songs bear the scars of experience and all the disillusionment and indefatigable optimism of a band who’ve travelled a long way to find themselves. “The thing is, I know less now where I’m coming from than I ever have,” says Michael. “I know less about everything and it’s opened everything up. All I know now is anything is possible. Expansive questions call for expansive backdrops, and while Rogue States have no shortage of them, for the most part they too were inspired more by circumstance than intention. Or at least by the recruitment of guitarist David Wright. Rogue States on Spotify / Myspace / Twitter / Facebook / Flickr / Bandcamp / Homepage. Buy the EP: iTunes UK | iTunes US – Also available on most major online retailers + you can buy a physical copy from the band HERE. 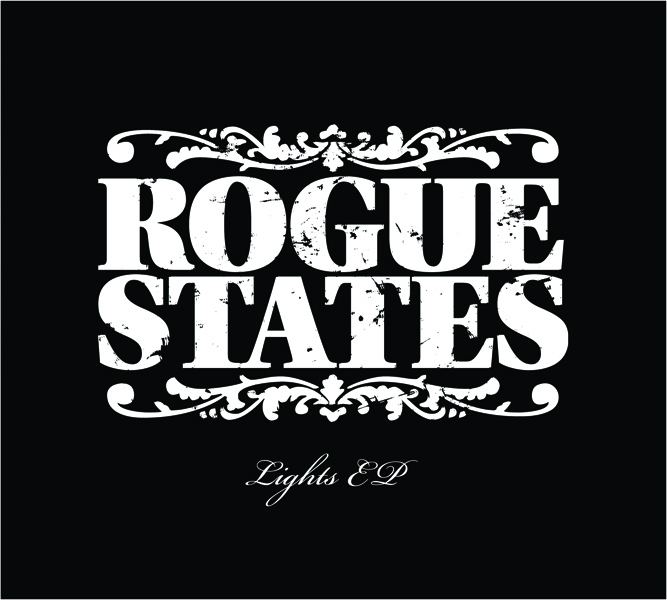 The Prize are a Signed & numbered (only 1000 pressed) Limited Edition of Rogue States debut EP “Lights”. We have three copies to give away, which means there will be three lucky winners. The competition is open Worldwide! The competition ends April 5th 2010. Simply reply to the post below stating something relevant to the giveaway and when filling in your details, make sure to use your correct email address so we can get in touch if you win.